Celebrate Human Rights with our first monthly pub quiz! Looking for a fun activity that will test your general knowledge? Want to see how much you know about geography, music, movies and human rights around the world? Of course, there will be awesome prizes for the winning teams! 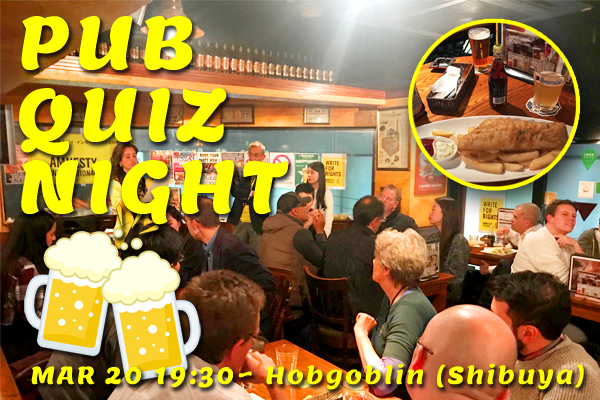 Only ¥1000 per person to participate, up to six members on a team. For those that do not have a team, just turn up and let the quizmaster know. We’ll find you a team to play with!